Inglemoor dominates final three quarters of play. With their season on the line, the Inglemoor Vikings girls basketball team delivered with a signature win against the Mount Si Wildcats. The Vikings cruised to a 66-47 win against the Wildcats in a loser-out, Wes-King 4A district playoff game on Feb. 7 at Inglemoor High School in Kenmore. 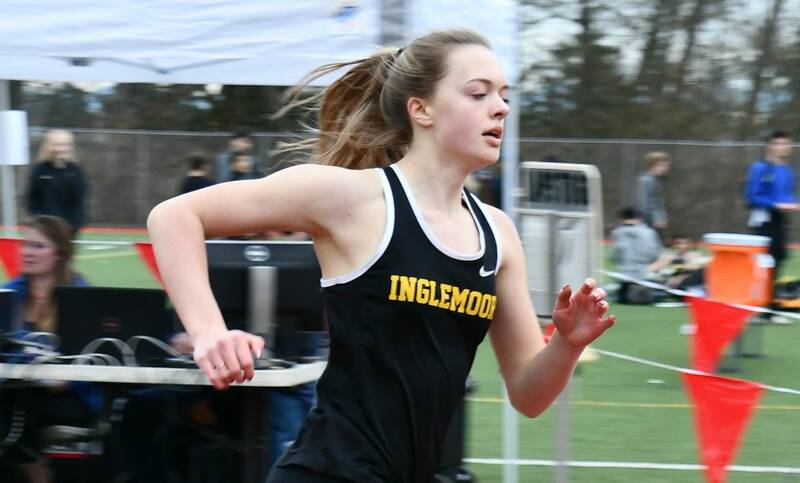 Inglemoor improved their overall record to 19-4 with the victory. The Wildcats finished the 2018-19 season with an 11-12 overall record. The Vikings dominated the final three quarters of play, outscoring the Wildcats 46-28 en route to a victory. Inglemoor head coach Kristina Schumacher was proud of her team’s showing on the defensive end of the floor. “I think our endurance really helped us. We just focused on putting pressure on the ball. When we do that, it plays into our favor. Mount Si played us so tough. I thought they were really good inside (in the paint). That is our weakness we had to make sure that we put pressure on the ball. We did that,” Schumacher said. Mount Si head coach Jason Marr remained upbeat despite the defeat against Inglemoor. Wildcats seniors Jenae Usselman, Savanna Samuelson and Abigail Triou competed in the final basketball game of their high school careers. “We just didn’t execute offensively. We had too many turnovers which kind of drove their (Inglemoor) lead. We tried our best in the second half but it wasn’t enough to get it done. The girls had a great year. I tip my cap to the seniors for a great season taking us to 11 wins and making it to districts,” Marr said.